Are you in the market for the best earbuds under $50, but have no idea what model to select? You’ll be glad that you found this buying guide because we will show you the best headphones that provide the maximum value for the money. We have done the work for you to make it easier to decide. 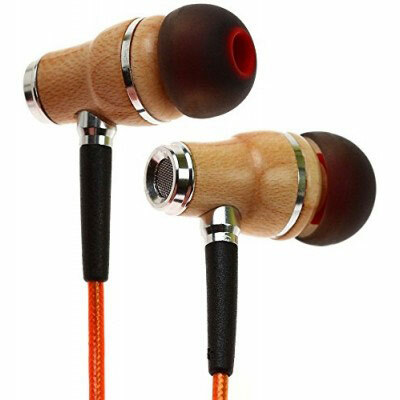 Wooden parts made by hand, great earbud tips. Soft pouch included, ergonomic design. 4 pairs of silicone tips. The bass is great. We have created a list of buying factors for buyers that have never bought earbuds so you can find the right pair. All of the options in this guide are excellent, but you need a set of rules to be able to differentiate between them. As with all technology products the features is what sets them apart. 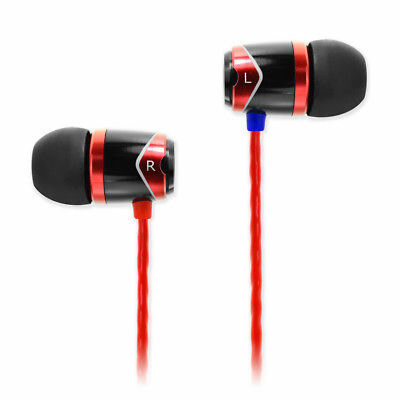 Furthermore, we will indicate the type of buyers that can benefit the most from the best earbuds under $50. It’s a versatile product that has a number of uses and by giving you some ideas you can better understand how you might use them for yourself. We hope that by the end of this best earbuds under $50 buying guide you’re able to make the right choice. One of the biggest design considerations you’ll need to make is if the earbuds are going to be wired or wireless. The advantage of a wired design is that there is no need to charge batteries to use them. Furthermore, some might argue that the sound quality is better because audio travels better through wires than airwaves. The obvious advantages with the wireless setup is that you have a higher degree of freedom. Wireless earbuds are much easier to workout with and while walking to the office. 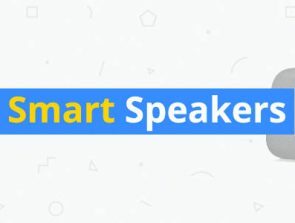 Nowadays Bluetooth technology is excellent and the number of devices that are compatible with Bluetooth is increasing. Opting for wireless earbuds is an excellent choice, but then you’ll need to consider the battery life. Obviously more battery life per charge is better as you will not have to worry about keeping an eye on the battery life as frequently. You can expect around 4 – 10 hours of play time right now. A quick charge feature is also desirable where you can get a decent chunk of battery life for a very small amount of charging time. Finally, pay attention to the type of battery used. It’s ideal if the battery is able to deliver the same level of performance for many years to come. Batteries tend to wear down when used many times, but that aspect of the technology is improving. Look for lithium ion batteries where possible. There are so many features with earbuds that’s it is easy to overlook the most important factor, which is audio quality. It can be difficult to figure out the audio quality when you’re buying online, but pay attention to the details of the product description. The frequency response and audio drivers are a good indication of what the audio quality is like. Also some earbuds have boosted bass, which many people enjoy because it brings more life to music. Other than the other features mentioned in this buying guide you need to give the audio quality a lot of weight in the buying decision. After all, you’ll be using the earbuds for the audio experience. Even with industry leading audio earbuds aren’t worth much if they’re uncomfortable. Fortunately, many earbuds have come out in recent years that are extremely comfortable. Ideally the earbuds should be secured so that when you move your head they do not come loose. There are some designs that are suitable for sports because of how well they fit. It is frustrating working out with earbuds that you need to constantly adjust. The majority of brands nowadays help you get the right fit by supplying a number of eartips. Typically small, medium, and large sizes are provided so you can find one that works. We all have different ear sizes and it would be difficult to manufacture an earbud size that fits all. Noise cancelation is an attractive feature for those that want to tune out the surrounding environment. This leads to a more immersive experience and higher quality audio. However, noise canceling earbuds can actually be counterproductive when driving or walking through a busy city. That’s because you will not have the normal audio cues that indicates there is danger around you. It’s important to be able to turn off this feature. Most earbuds have a microphone that can be used for calls. This is a useful option if you want to talk while driving, working, or exercising. Make sure you check for this feature because manufacturers of budget earbuds try to save money by not including a microphone. You can’t expect wonders from earbud microphones. They are usually cheap and don’t provide that clear audio. Most are good enough to have a clear conversation though. 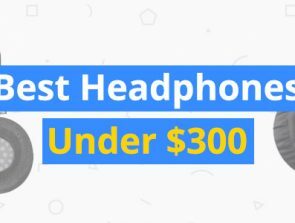 Who should buy earbuds under $50? We have sourced the cheapest earbuds on the market that don’t sacrifice on quality in this guide. 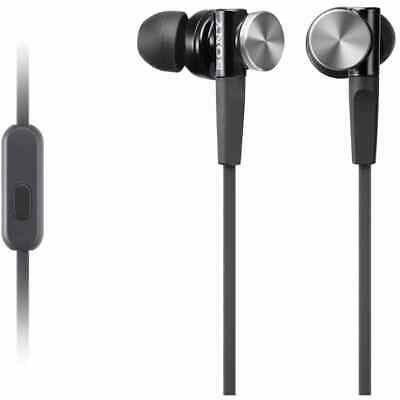 You will be able to find all of the features that you want in earbuds in this price range. If you’re looking for backup earbuds that you can take on your travels then an option under $50 is a great idea. In the event that you lose them, the cost to your wallet will not be so big that it’s worth getting upset about. Do you need to work and talk at the same time? Or perhaps you need a hands-free option to receive calls while driving? Then buy one of the earbuds with a microphone and you’ll have an excellent option to talk on the phone with. Earbuds are a great way to take calls because the audio quality is typically better than using your smartphone. Therefore, the audio experience will be more enjoyable than you would otherwise experience. Another reason to buy the best earbuds under $50 is to buy them as a gift. It’s a small price to pay and earbuds are so versatile that anyone can find a use for them. Therefore, it makes for a great gift regardless of the person you’re buying for. However, consider the person you’re buying for and ensure that the list of earbud features matches up with them. For instance, if they are a gym rat or like to go jogging, then get a design that can be used during sports. The SoundMAGIC E10 is one of the best earbuds under $50. You have a choice of different colors and the design appeals to the majority of people. The right and the left earbuds are clearly labelled so that you can tell them apart at a glance. The frequency range is 15 – 22Khz and 10mm neodynium drivers are included. Therefore, the overall quality of the audio is excellent. The combination of the powerful bass and attention to detail means you’ll hear audio that might not be noticed in other budget options. These are wired earbuds and the length of the cable is 1.2m. This is long enough to be able to put the cord under your shirt. The cable is also designed so that the chances of it getting tangled are minimal. It can be frustrating when this is overlooked by manufacturers. 4 silicone tips are included that can be used to get the right fit. The majority of brands only include 3 tips, which means the extra size here can be useful for those struggling to get the right fit. The eartips also have a reliable design, which means you can trust they will last. A cable clip and bag is also included, which allows you to store away the product while it is not being used. To conclude, the SoundMAGIC E10 is an excellent option under $50 that represents good value for money. The combination of the 10mm neodymium drivers and an excellent frequency response means you can enjoy good quality audio. Furthermore, if you’re looking for earphones that will stand the test of time, then you can count on the durable design here. 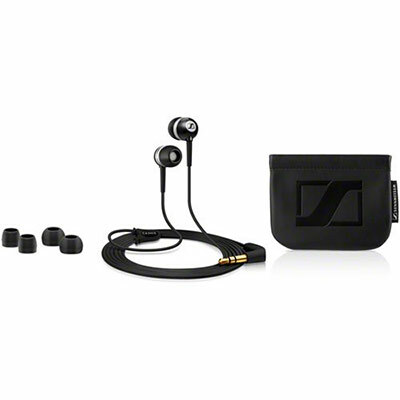 Sennheiser is one of the best audio brands and it has earned a reputation for releasing top-tier products. The Sennheiser CX 300 II is aimed at the budget end of the market, but they have done a great job of not sacrificing on the quality of the audio. The bass-driven sound packs a powerful punch that makes all types of music sound great. Furthermore, the dynamic transducers contribute to excellent sound reproduction. You’re getting an excellent product for the budget price that is one of the best value for money purchases on this list. Noise isolation is provided by the in-ear canal design. This limits outside noise and increases the sound quality. Additionally, you can choose from 3 eartip sizes to get the right fit. This means you will not get frustrated by having to constantly readjust the earbuds while listening to music. A 3.5mm right angled plug and 1.2m cable is part of the design, which is average for the wired earbud market. However, the cable is designed carefully so that there is minimal tangling. Also a well-designed soft pouch is included where you can put the earbuds away while you are on the move. It’s made out of a durable material so that it will not wear out in a short period of time. To conclude, the Sennheiser CX 300 II is great because of the enhanced bass and ergonomic design. These earbuds offer great value for the money. The included soft pouch is a nice touch that will come in handy when you need to store the earbuds in a safe place. Brainwaz has created a great earbud at a cost of around $25, which is a reasonable price due to the many features implemented here. These include clear sounding instruments and vocals, and balanced clean bass. They are suitable for any genre of music and durable. The coating is made from a metal housing, which means that you can drop them and they won’t break. In addition, it has a microphone on the cord allowing you to take calls when listening to music. Also, you can skip songs, pause, or play music using built-in buttons. The ear foam tips are extremely comfortable and are rarely found on budget earbuds. If you own an iPhone then these will be a perfect match for you, since the buttons on the remote are designed to work with Apple iOS devices. Furthermore, the package includes three sets of silicone ear tips (small, medium, and large), one set of comply foam tips (S-400), and other accessories like a hard case. Also, you have the option to buy a warranty, which will last for 2 or 3 years depending on the one you pick. In conclusion, the Brainwavz Delta Black IEM earbuds are one of the best noise canceling budget products today. Costing only $25, these earphones will do more than enough for the average listener. Also, you can pick up a 2 to 3 year warranty for just under $6. Last of all, if you own an iOS device then this product is perfect for you because the compatibility of the product will be excellent. A great choice for budget earbuds is the Symphonized NRG 2.0 because the product quality is outstanding while only costing around $25. When you purchase these earbuds you have a choice to buy an additional 3 or 4 year warranty. The wooden parts of the headphones are hand crafted. Moreover, these are noise canceling earphones, thus reducing ambient noise for an exceptional audio experience. The earbuds produce crisp powerful sounds with deep strong bass, while also being studio tuned to ensure crystal clear clarity. Furthermore, you can answer calls with the earphones once you enable voice control. Not only can you answer calls, but you can also skip, pause, and play tunes from a click of a button. In addition, you will receive three different sizes of earbuds to ensure a comfortable fit for everyone. Plus, they include an eco-friendly convenient carrying pouch, which will protect your earphones from getting damaged when not in use. To conclude, the Symphonized NRG 2.0 Earbuds are one of the better designed budget earphones when compared to other options on the market. The wooden parts of the headphone are made by hand and they are pleasurable to wear. Sony is one of the best electronics companies ever established, so it’s no wonder they produce some of the best earbuds. The Sony MDRXB50AP lives up to that. These headphones not only provide high quality sound, but also extra bass due to the 12mm dome type drivers. In addition, the Sony MDRXB50AP has a built-in microphone which allows you to answer calls on the go. The earbuds are created from hybrid silicone for a secure and comfortable fit. Also, the speakers are made from high energy neodymium magnets, which create powerful sounds. 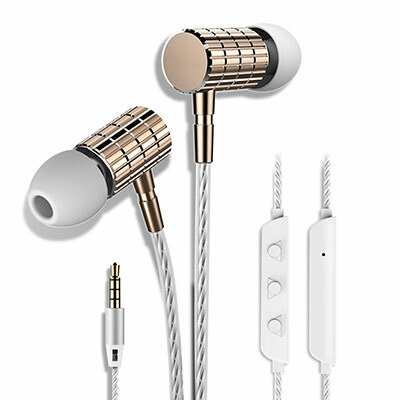 Moreover, these earbuds are 100% tangle free because of the Y type flat cord. Also, if the wires are too wide apart and messy for your liking, then you can pull up the slider to close the gap. Although this model is wired, you can choose a wireless version that’s priced significantly higher. To summarize, this product is excellent for any user who wants to listen to music, especially deep bass. The earphones are comfortable to wear and completely tangle free. In addition, the Sony MDRXB50AP has a built-in microphone that’s perfect for receiving calls while on the move. SoundPEATS is another great electronics company that has created an outstanding earbud product here. The SoundPEATS Magnetic Wireless Earbuds come with high quality stereo sounds and in deep bass. Also, it comes with a Bluetooth chipset and 6mm drivers that deliver crisp sound. The battery life lasts up to 8 hours, but of course this depends on the volume and audio content. Also, the stand by time is around 100 hours, however it only needs to be charged for around 1 – 2 hours. You can wrap these earphones around your neck when not in use and wear them like a necklace, which is a convenient way of carrying them around. Also, the headphones come with customizable accessories such as the earbud tips, which come with additional sizes of XL and XS. Unlike most designs, your ears won’t hurt after using these earbuds after long periods of time. 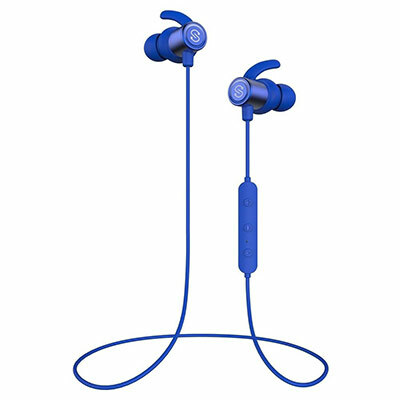 Furthermore, if you are the sporty time then these earphones are great because they are sweatproof. This means they won’t get damaged due to sweat getting inside drivers. In conclusion, these headphones are great for all users, which includes athletic people because they are 100% sweatproof. In addition, your ears won’t hurt after a day of using them because the materials are comfortable and provide a snug fit. Finally, the battery life is an outstanding 8 hours and they only need 1 – 2 hours to charge. Apple is a well-established company that aspires to deliver the best quality products on the market. 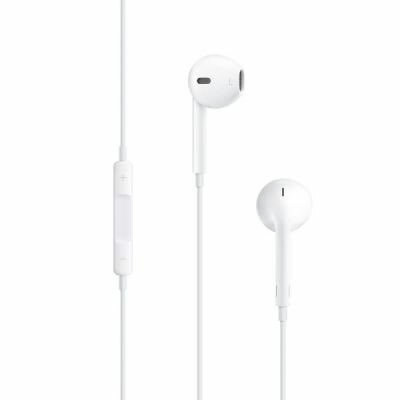 The Apple MD827LL/A EarPods are a great choice for someone looking to get a high-end earbuds for the cheapest price. These earbuds only cost $10. However, at such a low price the features of this item are more than enough to provide a blend of performance and value. With this model you will get richer bass tones and high quality vocal pitches. 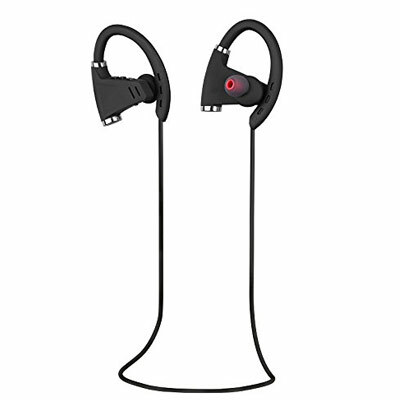 In addition to this, the earphones are sweatproof and waterproof, which makes them gym compatible. Also, you will be able to control music and video playback with the built in controls. Furthermore, the headphone are moulded to the geometry of the ear, thus providing a snug and secure fit. Also, if you own an Apple device you can even talk to Siri without having to pick up your device. However, make sure the device you want to use with this earphone has a 3.5mm jack as otherwise it won’t fit. In conclusion, Apple has created a great earphone, which is designed to the geometry of the ear. The remote allows you to pick up calls, pause music, play music, and even talk to Siri. 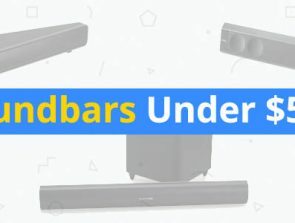 Additionally, due to the shape of the earbud sound leakage is minimal, which means you will be able to feel all the notes of the songs you play. 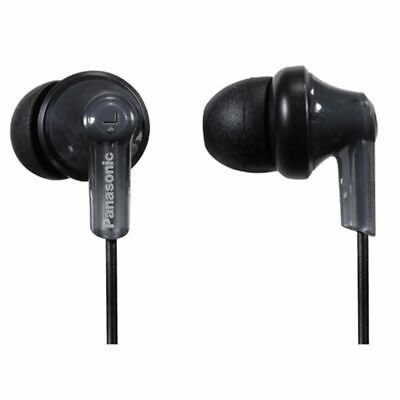 The Panasonic RP-HJE120-PPK are a nice pair of earbuds under $50 because of all the features that come with. First of all, you get an ultra-soft ErgoFit, which will instantly feel comfortable. Secondly, if you own an iPod Nano 5th generation you can pick out the color of the earphones to match the device. Third, for an additional $5 you have the option to purchase this headphone with a microphone. Furthermore, the cord length is 3.6 feet, which provides flexibility and comfort when using them on the go. The sounds produced by the Panasonic RP-HJE120-PPK are excellent due to the connectivity technology. Also, enjoy a snug fit with the ultra-soft eartips that come in three sizes (small, medium, and large). Moreover, you get a 2 year warranty for the additional cost of $2. There is also an option to purchase a 1 year warranty. Besides that, there is a three button system when you buy this product with a microphone, which allows you to skip, pause, play, and answer calls. To conclude, Panasonic has created a high quality budget headphone which comes with many features for only $15. For example, customizable colors, three eartip sizes to match all customers, and the option to buy with or without a microphone. Plus, the ErgoFit keeps your ear comfortable for long periods of listening time. The Tintec In-ear earbuds are one of the better deep bass products available today. The ultra-lightweight digital in-ear stereo is designed by professional tuners to guarantee the ultimate bass and treble effect. Made from washable soft silicone, these earbuds are comfortable to wear and won’t fall off. In addition, the headphones are fully compatible from iOS to Android devices. There is also an in line control, which means you will be able to answer or end calls, skip tracks, and activate voice assistance with the simple click of a button. Plus, in the package you will get three sets of silicone rubber eartips, which provide good noise cancellation. Moreover, the 3.9 feet cord is great for gym users, hikers, bikers, or cyclists because you can run the wire under your shirt. However, have in mind that they are not waterproof, so not all outdoor activities are compatible with these earphones. To summarize, the Tintec In-ear earbuds are perfect for the outdoors because it has a long cable of 3.9 feet. The eartips are comfortable to wear and won’t fall off when in use. Audio is excellent due to the earbuds being tuned by the top professionals in the industry. In addition, there is a 100% money back guarantee and a 12 month warranty. The TOP-MAX Bluetooth headset is a premium earbud that only costs roughly $25. Both the left and right sides have touch control: the left side can adjust what songs play next and the right side can adjust the volume. It’s easy to connect to these headphones because they use Bluetooth version 4.4. However, the distance of connection is only 10 meters or 30 feet, which is not as far as other wireless headsets. On the other hand, the features are more than enough for the price. 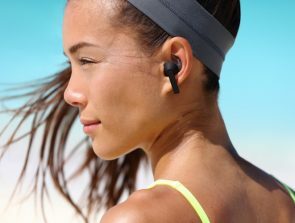 For example, the earbuds are protected with a nano-coating, which makes this product sweatproof and waterproof. 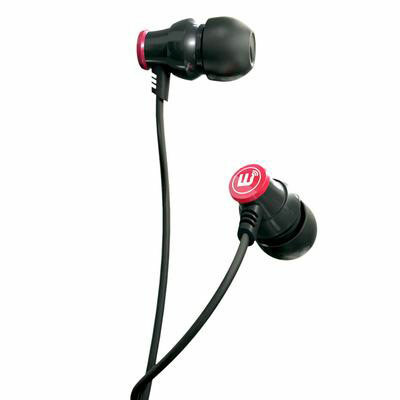 Moreover, the ergonomic design makes these earbuds comfortable because they are shaped to fit securely in the ear. This makes sure that the earphones won’t fall out during intense workouts or when traveling. In conclusion, TOP-MAX has created an excellent wireless headphone under $50. Both sides are controlled via touch pad, thus giving it a futuristic feel. The earbuds are noise canceling, which provides top notch sounds directly to your ear. In addition, these earphones are waterproof and sweatproof.